Signed l.r., pencil "Sydney Long ARE". Not dated. Anne Gray, Sydney Long: the spirit of the land , 'The spirit of the land', pg. 45-70, Canberra, 2012, 64, 157 (colour illus. ), 165. cat.no. 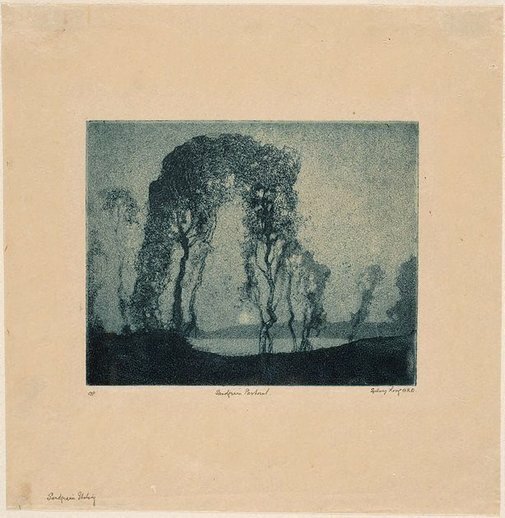 68; not AGNSW impression; titled 'Pastoral sandgrain (moonrise pastoral)' and dated 1918.